Borussia Dortmund travel to Bayern Munich on Saturday afternoon, as the two sides face each other in Der Klassiker. Dortmund are back in action after a week's break, following last week's late 2-0 win over Wolfsburg. BVB remain top of the Bundesliga with seven games to go, sitting two points clear of Saturday's opponents. 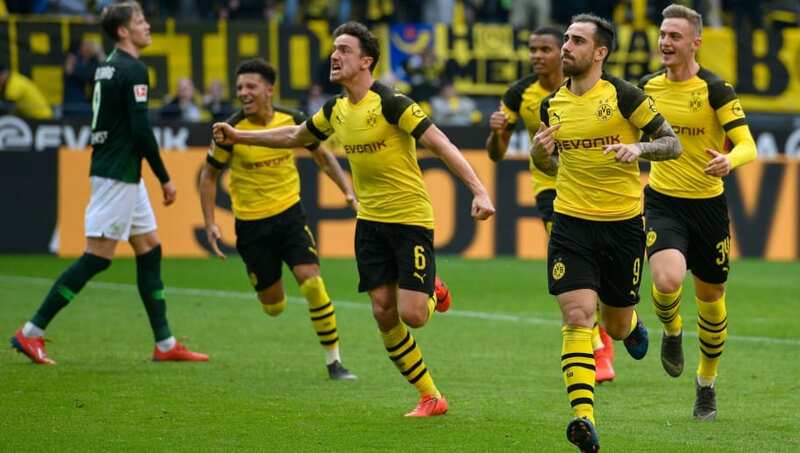 Manager Lucien Favre is definitely without Achraf Hakimi and Christian Pulisic, while he may also be without Abdou Diallo, Maximilian Philipp, Lukasz Piszczek and Paco Alcacer. Here's a look at Favre's best potential Borussia Dortmund lineup to face Bayern Munich. 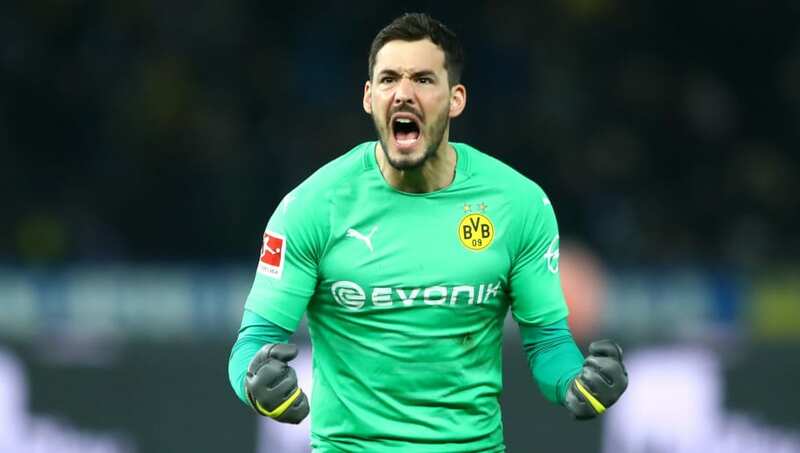 Roman Burki (GK) - Burki will be making his first Der Klassiker appearance of the season, after missing the reverse fixture last November through injury. The Swiss goalkeeper has made 26 league appearances, keeping eight clean sheets throughout the year. Marius Wolf (RB) - With Dortmund facing injury problems in defence, Wolf will likely fill in at right back as he has done before this season. Traditionally a right winger, the 23-year-old has mustered 18 appearances this season with one sole goal to his name. Manuel Akanji (CB) - Akanji will sit at the heart of BVB's defence this weekend, as the Swiss will need to be at his very best for one of their biggest games of the season. The 23-year-old has played 24 times this season, and has been excellent this season. Dan-Axel Zagadou (CB) - Partnering up with the Swiss international on Saturday will be Zagadou, amid Diallo's unavailability. Still just 19 years old, the French defender continues to establish himself at the back as he prepares to play at the Allianz. Raphael Guerreiro (LB) - Favre will likely play another one of his wingers at full back, this time in the form of Guerreiro. The Portuguese has been superb in attack when playing as a winger, scoring six goals and five assists this season. Axel Witsel (DM) - Witsel will make up half of Dortmund's defensive midfield at the Allianz, as one of the Bundesliga's signings of the season will hope to continue his fine form. The Belgian has scored five goals in his 36 appearances, and could surely add to that in Bavaria. Thomas Delaney (DM) - The Danish midfielder will partner up with Witsel to offer extra protection to Dortmund's defence, making his 32nd appearance this season. Delaney has also been very good this season, and is almost certain to start in the derby. Jadon Sancho (RW) - As the south Londoner continues to be in the form of his life, he will be one of Dortmund's key danger men. 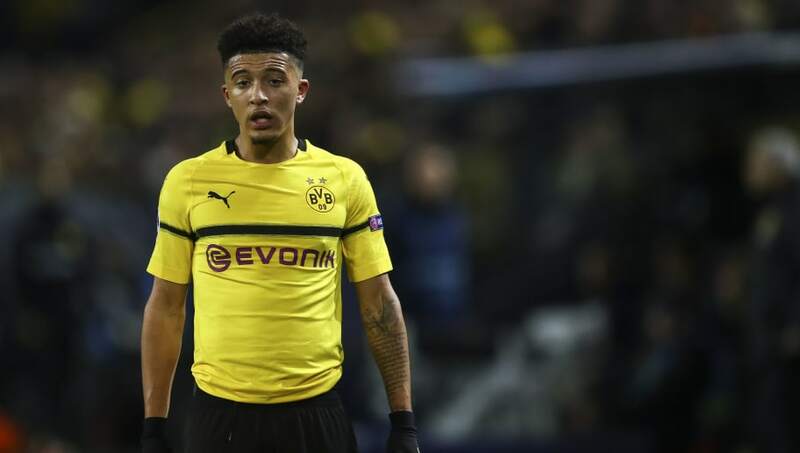 Sancho's numbers are excellent this season, with nine goals and 18 assists for the Schwarzgelben. Marco Reus (AM) - Dortmund's in-form captain will be at the heart of the attack, as he faces his old foe at the Allianz. Reus has also been outstanding this season, with an impressive 19 goals and ten assists in 31 appearances. Jacob Bruun Larsen (LW) - Bruun Larsen should make up Dortmund's attacking midfield trio, as he completes an attack that is in fine form. The Danish attacker has made 25 appearances this season, and will be eager to produce a pivotal performance against Bayern. 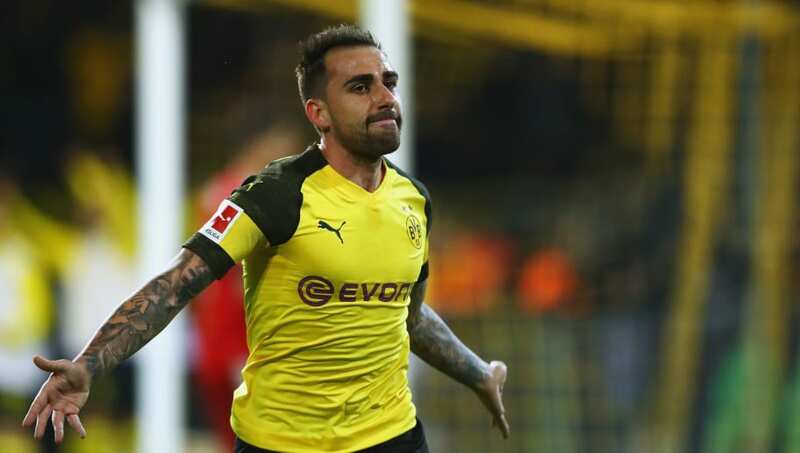 Paco Alcacer (ST) - While Bayern have former Dortmund man Robert Lewandowski up front, BVB have Spanish striker Alcacer to lead the line. With his move to the Signal Iduna Park made permanent, the Spaniard will hope to add to his 17 goals this season.